Artwork of a brown dwarf orbiting a nearby star (lright). A brown dwarf is an object which began to accumulate material like a star but which never collected enough for hydrogen nuclear reactions to begin in its core. Nevertheless, brown dwarf cores are hot enough that a special form (or isotope) of hydrogen, called deuterium, is able to undergo fusion reactions, leading to the synthesis of an isotope of helium called helium-3. And the more massive brown dwarfs are able to produce ordinary helium through the consumption of another element, lithium. 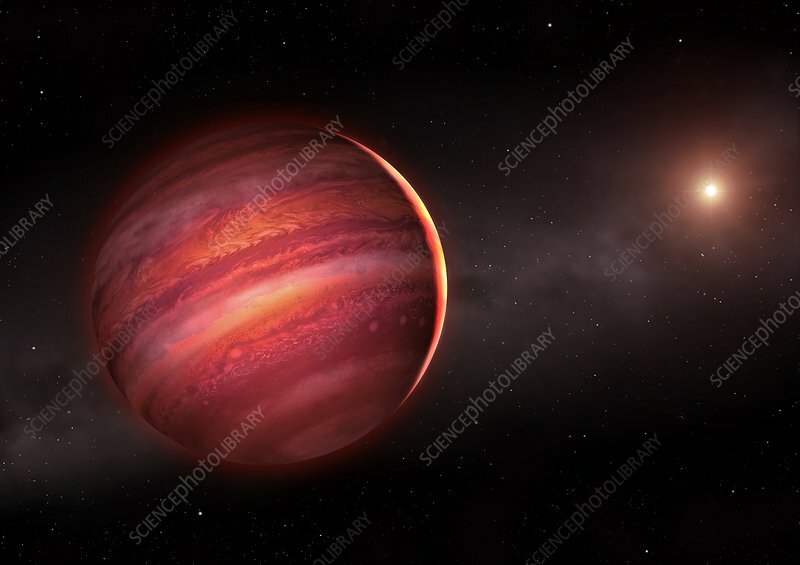 Brown dwarfs are difficult to detect because they emit little or, in many cases, no real light of their own, and probably appear more like a large, magenta version of a gas giant.